Dr. R. Tamiko Halualani is one of the founders of Halualani & Associates and is a leading presenter and author in the field of intercultural communication and diversity analytics. She and her brother created Halualani & Associates in 2008 and has served many higher education and private industry clients since then. 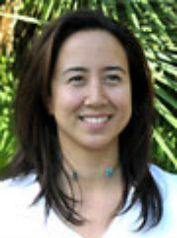 Dr. Halualani is a published intercultural communication scholar with two published books and over 30 academic journal articles and chapters in prestigious scholarly outlets. From 2007 – 2009, Dr. Halualani served as Special Assistant to the President, Director of Institutional Planning & Inclusive Excellence (Diversity Leader) for San Jose State University and spearheaded the creation, design, implementation, and completion of the university’s (California State University’s) first ever Diversity Master Plan (which focused on faculty retention and diversification and campus climate improvement) as well as the plan’s first midpoint evaluation. She currently consults for other higher education institutions (two-year colleges, four-year public and private universities, faith-based colleges and universities) on diversity strategy, diversity mapping, planning, and evaluation. Dr. Halualani served as the Editor in Chief of the international journal, Journal of International and Intercultural Communication (JIIC) from 2013 - 2016. Dr. Halualani earned her Ph.D. in Intercultural Communication from the first/oldest doctoral program in Intercultural Communication in the country at Arizona State University (1998). 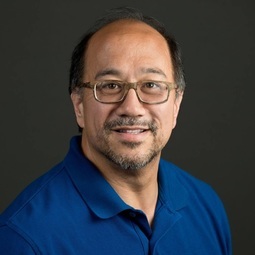 Dr. Halualani is a Full Professor of Language, Culture, and Intercultural Communication in the Communication Studies Department at San Jose State University. Dr. Halualani possesses extensive expertise in insight analytics and design, with a special emphasis on critical tools (discourse analysis, textual analysis, articulation, critical cultural studies). She has extensive experience in designing diversity strategy and diversity master plans and conducting diversity training for organizations and educational institutions.Dr. Halualani teaches courses on intercultural communication, racial/ethnic identity, cultural studies, diasporic and global movements in relation to culture, and critical intercultural communication studies. Dr. R. Tamiko Halualani conducts projects on cultural identity and mis-identifications, intercultural interaction, renaming and historical memories, microaggressions and communication, racial microaggressions, identity negations and affirmations, diasporic identities, Native Hawaiians, mainland Hawaiians, and Pacific Islanders. Roger has over 20 years of experience in the pharmaceutical/biotechnology industry and has worked in all facets of the industry including research, manufacturing, product development, marketing and sales, business development, and strategic planning. In addition, Roger has exceptional knowledge of the international markets, especially the U.S., Europe, and Japan. His therapeutic areas of expertise include oncology, rheumatology, dermatology, infectious disease, and cardiology, to name a few. His areas of business expertise include epidemiology, forecasting, strategic planning, market research, corporate partnering, pricing/reimbursement, and new product development. Roger is one of the founders of Halualani & Associates and is also a founding partner of Epiphany Partners Inc.